Why would I need self storage in Grand Prairie, TX? There are a variety of reasons why you might need self-storage in Grand Prairie, TX. How much is a storage unit in Grand Prairie, TX? The cheapest storage unit in Grand Prairie, TX is $33.00 per month. What size storage units do you have available in Grand Prairie, TX? In Grand Prairie, TX we have sizes that range from 4'x5' to 10'x30' to suit your storage needs. How much is it for a 4'x5' storage unit in Grand Prairie, TX? The cheapest 4'x5' storage unit in Grand Prairie, TX is $33.00 per month. 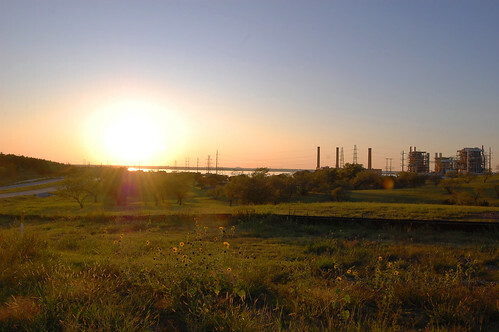 Nestled in the center of the Dallas-Fort Worth metro area, Grand Prairie is a mid-size city. The city's central location is attractive to families seeking a smaller community in the metro area, and strong commercial and industrial centers contribute to its growth. In addition to a strong economy, Grand Prairie has earned the title of one of the happiest cities in the nation. The city has also received several awards for its parks and recreation programs, environmental protection efforts and its many local events and festivals. Grand Prairie was first settled in the mid-19th century and originally named Dechman after its first settler, Alexander McRae Dechman. Trolley service between Dallas and Fort Worth brought visitors and new residents to Grand Prairie in 1902. In the same year, the Grand Prairie Independent School District helped establish the community as an up-and-coming area. In 1909, the town was officially incorporated and it continued to grow through the world wars, thanks to a thriving aviation and defense industry. Between 1940 and 1950, the population grew by a staggering amount, leaping from just over 1,500 to nearly 15,000. Since then, Grand Prairie has continued to grow and evolve rapidly. Grand Prairie is home to a large number of diverse businesses, which together provide thousands of jobs. Among its largest employers are the Grand Prairie Independent School District, Lockheed Martin, Poly-America and Bell Helicopter-Textron. If you're planning to begin the job search in Grand Prairie, you'll find plenty of opportunity in the city as well as the neighboring Dallas metro area. The largest industries in this area include trade and transportation, professional and business services, education, health services and government. As the economy grows and diversifies, the fastest-growing industries are professional and business services, education, health services, leisure and hospitality. Market Square is where you can find all of Grand Prairie's best and brightest community events, ranging from the annual Main Street Fest to the Hatch Chile Fest. It's also the site of a regular farmers' market, with fresh produce, crafts and live music. Downtown Grand Prairie is the heart of the city, where you'll find much of the best dining, shopping and entertainment in the area. It's also home to the historic Uptown Theater, where you can enjoy national and local concerts, theatrical performances and dance shows. Asia Times Square provides you with the unique opportunity to experience Asian culture and food in the heart of Texas. Ethnic grocery stores in the area offer foods from Thailand, China, Korea and Africa, and the community is the site of the annual Lunar New Year celebration. Though it's not technically a neighborhood, at over 150 acres, Traders Village is certainly large enough to qualify as one. The giant complex is often referred to as "the Famous Texas Flea Market," and it features rides, games, food and over 3,000 vendors. The Grand Prairie Independent School District serves the majority of public schools in the city, including elementary, middle and high schools.The majority of public schools in the city are served by the Grand Prairie Independent School District, including elementary, middle and high schools. You can also enroll your child in one of several private schools, with both parochial and secular options available. While there are no major colleges or universities directly in Grand Prairie, there are plenty of options in the nearby metro area. Utilities: In Texas, you have the option of choosing your own electricity provider, so be sure to take the time to compare rates and programs. The city manages water and sewer services. Garbage and Recycling: Trash is collected twice a week, and recyclables are picked up once a week. Transportation: While there is no public transit in Grand Prairie, the nearby metro area is easily accessible via the network of highways. The city does provide a limited transit service for seniors or those with special needs. The median home value in Grand Prairie falls below the national average, so you'll be able to find something very budget-friendly. If you prefer to rent, there also are plenty of affordable options. Our lowest priced units in Grand Prairie, TX average $38.40 per month. 224 people have reserved units in Grand Prairie, TX in the past 30 days. There are 5 locations within Grand Prairie, TX's city limits. There are 2 locations in Grand Prairie, TX that offer AC and Heating features.